Hemodialysis (HD) is a form of blood purification. It is used to treat animals with kidney disease or intoxications. A venous catheter is placed in the jugular vein of the animal to allow for repeat treatments if necessary. During hemodialysis blood is pumped through a machine and cleared by a special filter (called artificial kidney or dialyzer). This allows for removal of toxic waste products accumulating due to kidney disease or failure, or for direct removal of ingested toxins from the patient's blood. Hemodialysis is not a painful procedure and does not require the patient to be anesthetized. Dogs or cats typically rest comfortably while receiving treatment. During a hemodialysis session your pet is closely monitored: Blood work, heart rate, respiratory rate, temperature and blood pressure are checked regularly to make sure your dog or cat is doing well while receiving treatment. What are common indications for Hemodialysis? 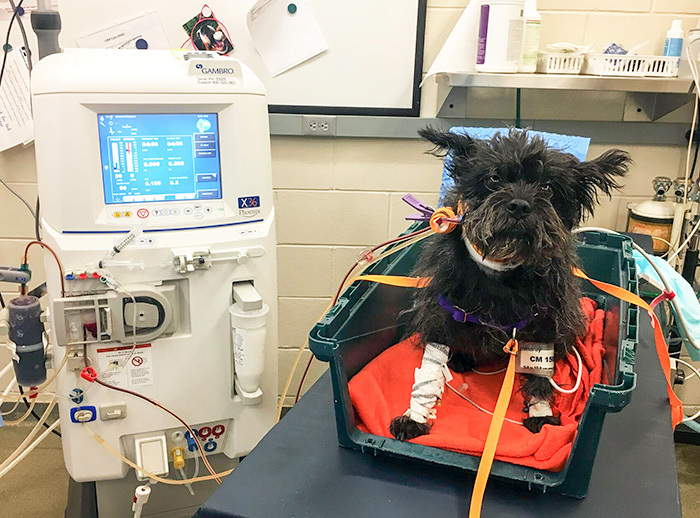 Read more about how Tina Turner, an Affenpinscher from Lafayette, Ind., underwent hemodialysis to treat a drug overdose. The most common indication for hemodialysis in canine and feline patients is acute kidney injury (AKI), also known as acute renal failure or acute renal disease. AKI can have a variety of causes such as certain medications and drugs, conditions like severe vomiting and diarrhea that lead to fluid loss, infections such as leptospirosis, and many more. Given that AKI leads to an accumulation of toxic waste products, hemodialysis helps your pet to feel better while their kidney's attempt to recover. Another common indication for HD is drug intoxication. A good example is anti-freeze (ethylene glycol), which is a highly toxic substance that is also slightly sweet and appealing to animals. Anti-freeze is so toxic for dogs and cats that even small amounts can cause kidney failure. Once kidney failure is present, prognosis is usually grave and most animals die or need to be euthanized. However, if the animal is presented early enough, hemodialysis can be used to remove the toxin directly from the blood of the pet before it causes any damage. Only one dialysis session is necessary and it is often possible to discharge the patient the following day. Read more about Gunner, a 7 month old mixed breed who received hemodialysis after drinking anti-freeze. Other toxins which can be removed by hemodialysis include the muscle relaxant baclofen, acetaminophen, non-steroidal anti-inflammatory drugs (NSAIDs), many antibiotics, chemotherapeutics and seizure medications, in the event of an accidental overdose. Some toxins require a special set up of the hemodialysis machine, called hemoperfusion, to allow for removal of the toxin. Contact your RDVM or us as early as possible if your pet has ingested a toxin. We can then decide together with your veterinarian if hemodialysis is an option for your pet. Some animals, especially feline patients, may suffer from ureteral obstruction. This is usually caused by stones in the ureter, which is a tube that connects the kidney with the bladder. To treat this condition, the cat often needs to undergo surgery to place a subcutaneous ureteral bypass (SUB), which allows for urine to flow freely from the kidney to the bladder again. However, surgery is a risky procedure in a patient that is unstable. Hemodialysis can help stabilize the pet before going to surgery. Athena was one of our feline friends needing HD prior to having surgery for a SUB. Read more about Brinley, Purdue's 1st Hemodialysis Patient during one of his treatments. The most common indication for HD in people is chronic kidney disease (CKD) or chronic renal failure. People with chronic kidney disease receive several treatments a week by going to a dialysis clinic. Chronic dialysis in dogs and cats is very challenging and has many limitations. However, in some animals it is feasible and allows for the animal to live a bit longer with a good quality of life. Quality of life is the highest priority in dogs and cats with chronic kidney disease. Chronic hemodialysis usually requires the pet to come in 2-3 times a week and stay with us for 5-6 hours. Your pet would be carefully assessed prior to a commitment of hemodialysis for CKD. We are more than happy to discuss with you and your veterinarian if your pet might profit from chronic hemodialysis. Purdue's first hemodialysis patient, Brinley, a 7-month old Bernese Mountain Dog, had a congenital kidney disease called renal dysplasia. He received over 30 treatments at Purdue over 10 weeks and became a part of the PVM Family. We all knew treatment could not last forever and everybody was sad to say good-bye as his disease progressed. We will be ever grateful to Brinley and his owner. His repeat treatments allowed us to fine tune our routines and train our staff members. 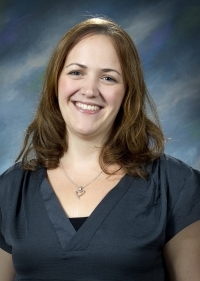 Brinley set the groundwork for a successful hemodialysis unit at Purdue and all future patients of the Purdue Veterinary Hemodialysis Service profit from that. Does hemodialysis cure kidney disease? No, it does not. Hemodialysis is able to remove waste products accumulating in the body due to failing kidneys. In patients with acute kidney disease, like a poisoning or overdoes, hemodialysis allows time for the kidneys to recover and makes the patient feel better. Chronic kidney disease is progressive, and while dialysis will help remove waste products from the animal's system, there is no hope for recovery. Once started, chronic therapy is necessary. Read more about Athena, a Siamese cat, that was Purdue Veterinary Medicine's first feline hemodialysis patients. This depends on the indication (intoxication or kidney disease). To treat intoxications, generally, only a single treatment is necessary and the patient may be able to go home the next day. In patients with acute kidney disease (or kidney failure), often multiple treatments are necessary over a period of several days and patients will usually need to be hospitalized for 7 – 10 days. With chronic kidney disease, chronic treatments will be performed on an out-patient basis 2-3 times a week. My cat or dog or cat is very small, can it have hemodialysis? The simple answer is yes, but the smaller the patient the more challenging the treatment. Usually small patients (< 5 kg or 11 lbs) will need a blood transfusion for each treatment. We will discuss this with you once we have evaluated your pet. What does hemodialysis for animals cost? Costs are variable and depend on the indication for the treatment and the patients overall status. Please contact us for more information and we can discuss cost estimates with you. Please call 765-494-1107 in an emergency or to arrange an appointment for your pet to be evaluated for hemodialysis. If you have a case for possible hemodialysis, please contact us as early as possible. Early referral is beneficial for these pets. You can reach us during business hours through the referral help desk at 765-496-1000. Caring for dialysis patients is a team effort and involves the entire veterinary team – DVM and veterinary technology students, technicians, interns, residents and senior clinicians. We work closely with the entire hospital staff to guarantee the best possible care for our hemodialysis patients. In an emergency situation you will first see one of our emergency doctors, often an intern. During a regular appointment you will see somebody from internal medicine, either an intern, resident (specialist in training) or senior clinician (faculty). If you want to know more about the different type of doctors in our hospital click here. Once your pet has been evaluated, your attending clinician will consult with the hemodialysis staff to discuss your pet's case. 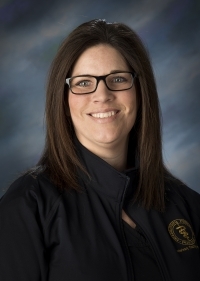 The doctors at Purdue responsible for Hemodialysis are Dr. Adams and Dr. Steinbach and they are supported by Julie Commons, our Nephrology & Urology Technologist and the whole team of our Small Animal Internal Medicine Technicians. 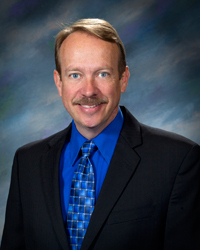 Learn more about our team here. Can I support the Purdue Veterinary Hemodialysis Service? Of course you can! We are currently developing a program to allow a Veterinary Specialist in Small Animal Internal Medicine to advance his or her career by entering a 1-year fellowship in advanced clinical training in small animal nephrology and urology. Fellows will be trained in diagnosing and treating kidney and bladder diseases as well as in specialized procedures to help patients with these diseases, including training in hemodialysis. If you are interested in supporting the Purdue Veterinary Hemodialysis Service please contact Chad Rohlfs, Director of Advancement, Purdue University College of Veterinary Medicine at 765-494-0791 or cmrohlfs@prf.org, or Tanya Finkbiner, Directory of Development, Purdue University College of Veterinary Medicine at 765-494-5032 or tjfinkbiner@prf.org.